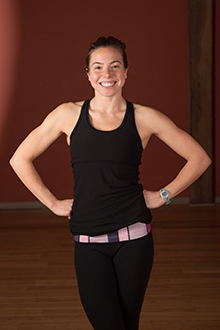 Heather grew up observing her mother teach yoga but did not begin her own practice until she enrolled in a “yoga for athletes” class in college. As a collegiate swimmer who was perpetually sore and injured Heather was drawn to the yoga for the increased strength and flexibility it offered. Yoga quickly became an essential part of Heather’s life and daily routine. She completed her 200-hour yoga teacher training at the Savannah Yoga Center in 2013 and has pursued a variety of teaching opportunities ranging from yoga fundamentals to advanced power classes. Heather loves the community that yoga builds and the mental and physical grounding it provides. In Heather’s class you will find athletic yoga that is focused on functional flexibility, proper alignment, and strength. You can also expect to find a thoughtful playlist that supports the arc of the yoga sequence. Off of her mat, Heather is a clinical child and adolescent psychologist at a therapeutic boarding school. She is an avid swimmer and runner who loves to be outside, especially with her dog, Graham.